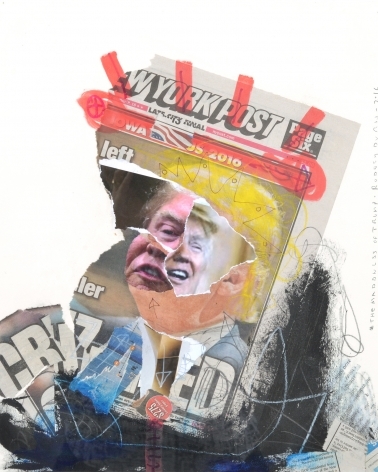 Against the backdrop of the impossible to ignore 2016 Presidential race, I created a series called The MadDness of Trump! 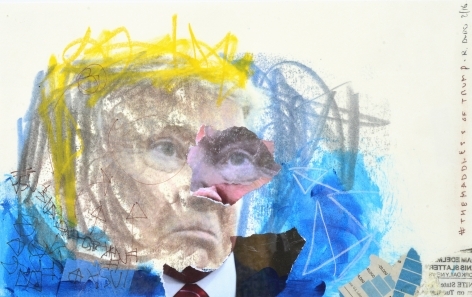 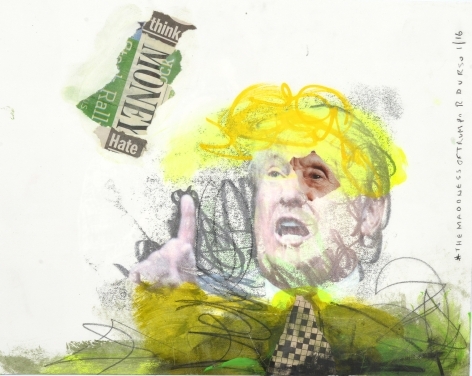 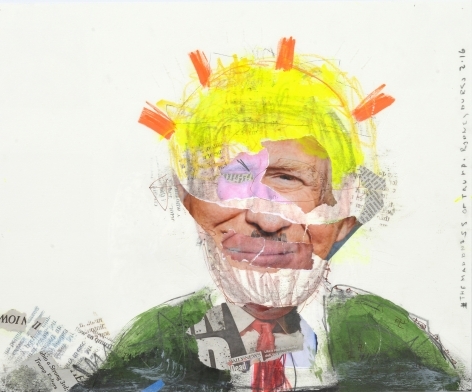 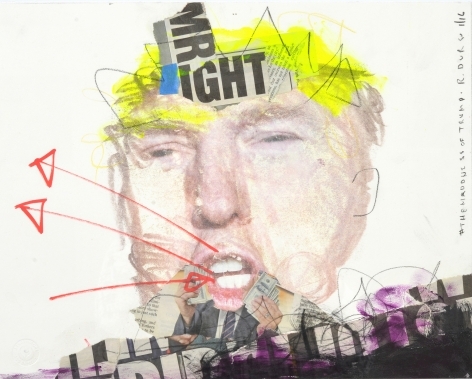 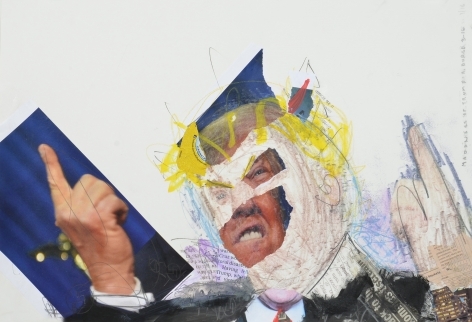 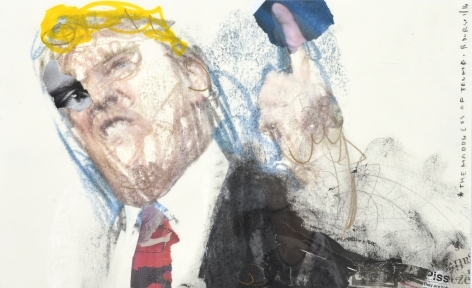 using mixed media to produce works fueled by anger, frustration and disbelief at the possibility of a Trump Presidency. 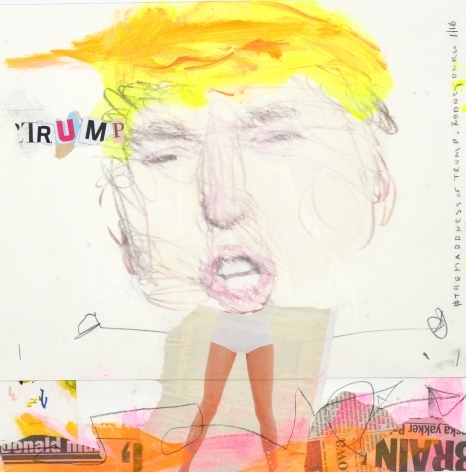 At first the pieces were mocking and cartoon-like, reflecting the media’s casual write-off of the then impossible candidate. 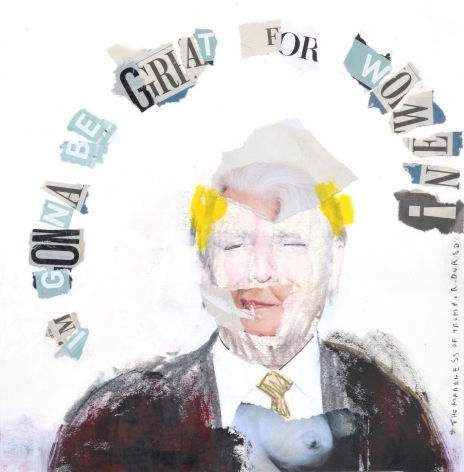 This work has evolved as the race and candidates changed and it was no longer a joke. 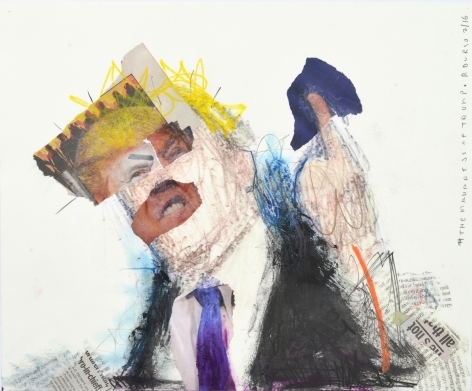 The candidate was real and the newer work reflects a public sentiment of fear of his presidency.